So it’s still really early for me to tell you about my next project, but since I popped the cover up in the sidebar over there (click through to see if you’re in a reader! ), I thought I should mention it. All of this time I’ve been working on a new book. 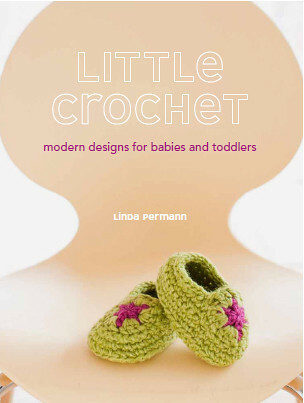 It’s called Little Crochet: Modern Designs for Babies and Toddlers (full disclosure: that there’s an amazon link, and I do get a kickback if you order through it) and it’s due out in April 2011. See, that’s still so far away! I’m not really supposed to show you anything from the inside but the booties on the cover qualify as a preview, right? In this post, I’m sprinkling some pics of designs that weren’t. That is, swatching I did but that ultimately was rejected in favor of something even better. That will give you a bit of an idea of what you’ll find inside. I’m not one for sneak peaks, I like to save it all up for when the project is actually available– but since you’ll probably never see these as finished pieces, they might as well get a look. I’m very excited to see it in the flesh in a few more months, my publisher got *the* cutest kids to model the designs. All of the patterns are worked in bright, modern colors for today’s little guys and gals (aged 0-4 years)–and I sprinkled alternative colorway swatches throughout the book to help you visualize finished pieces. I just love color! As I always say, I have an art degree and I like to think I’m using it! I equate my book-writing process to that of an artist getting a grant–I get paid to study something for six or so months, and at the end I have a show in the form of a book. 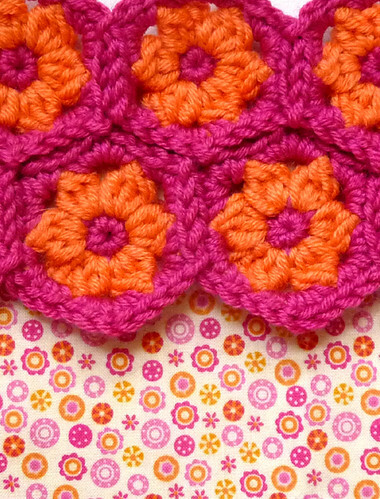 I learn so much because I get to crochet so much–I hooked every one of the samples in the book myself, save for one, which my friend and LYS owner Tammy helped me through at the last moment. (And hey, it was simple enough for her to make! She’s a master knitter but less experienced with the hook). There is nothing like practice, practice, practice to fuel my mind with new ideas. And just in case you thought I was immune, yes, I ripped back on several of the projects more than once- it’s all part of the stitching experience. The book is now available for pre-order on Amazon for under $15. I’ll be showing you more as I can, but probably not until it’s actually 2011. With the way this year has been going, I know it won’t be long. Are we able to pre-order your book ? I keep getting a broken link. 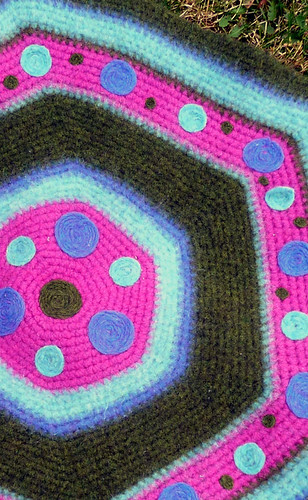 I want it, i take care of toddlers and I love to crochet-we are a match, your book and I.
I am super excited. I don't have any kids yet but I have had a hard time finding cute stuff to make for friends' babies. Linda to the rescue! And when I finally have one of my own I know the first place I'll go on my book shelf. Cool- I don't have kids yet either, but I found the "cute stuff for boys" department sorely lacking when my nephew was born, hence the book! I can't wait!!! Those booties on the cover are so adorable!